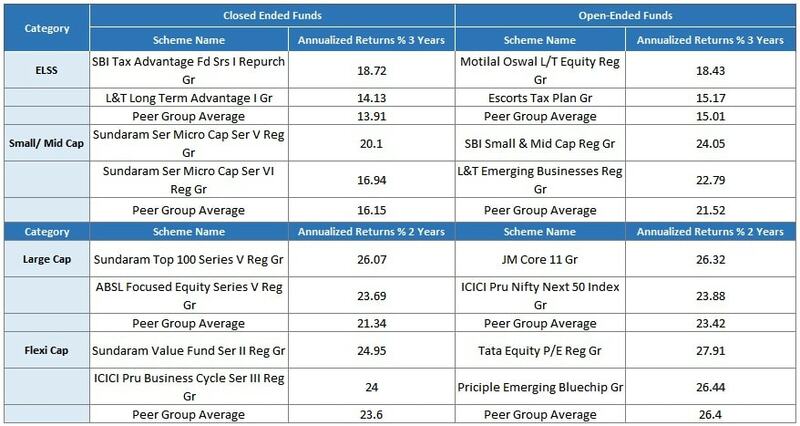 Planning to invest in a close-ended mutual fund? Ensure that you understand it well first. Ever since SEBI announced re-categorization of open-ended mutual funds in 36 schemes belonging to equity, debt, and hybrid category, etc., funds houses have been restricted from having more than one scheme under each category, subject to certain exceptions. Right after, 12 new close-ended funds were launched in the January to March quarter. And this leads to growth in eagerness among investors. Further, it has often been witnessed that the fund managers don’t pass up the chance to wax eloquent about the aspects of such funds. Close-ended mutual funds give a chance to the fund managers to operate their assets to their full capacity given the stability. Let’s find out what experts at MySIPonline has to put forward concerning this matter. Close-ended funds’ structure allows the fund managers to work with a stable capital pool. However, the problem here is that the huge inflow in any scheme could also cause an issue in cash deployment, especially when the valuations are steep. Whereas, in the case of open-ended mutual funds, sudden outflows may cause a problem for the fund manager, resulting in the condition where he would have to dispose off the stocks which, otherwise, he would prefer to hold. Even in the opportune times, fund managers are pressurized to sell or buy securities. Coming back to close-ended funds, the investment horizon of both investors and the fund manager are in synchronous; thus such a problem is never a matter of concern. Besides, the format of the close-ended funds ties up the investor, where he is not allowed to drop investment in panic even if the market takes a turn for the worse. A fund that collects money and invests when the market is on a roll will not be a good place to stay if redemption takes place a few years later during a market downturn. In short, closed-ended funds can neither be compared with their peers and benchmarks nor their performance can be tracked or compared in the real time. Unlike, open-ended schemes where the performance is traceable over different market cycles, therefore investors can rely on the fund manager’s past performance and experience when it comes to investing. The performance of a close-ended fund and investor returns are solely dependent on the timing of the investment, i.e., opening and closing date of investment. They do not even offer the facility of regular investment via SIP. Investment in any close-ended fund should only be made after deeply comprehending the investment philosophy of the respective scheme. It is essential to stick to the investment mandate and look for track records of the scheme as well as the fund manager. Furthermore, since you can only invest via lumpsum mode, make small investments in different schemes instead of going for a single fund. For any advice on the same, connect with the financial experts available with us. With us, you will have the opportunity to clear all your doubts regarding investments in a hassle-free manner and that too, free of cost.